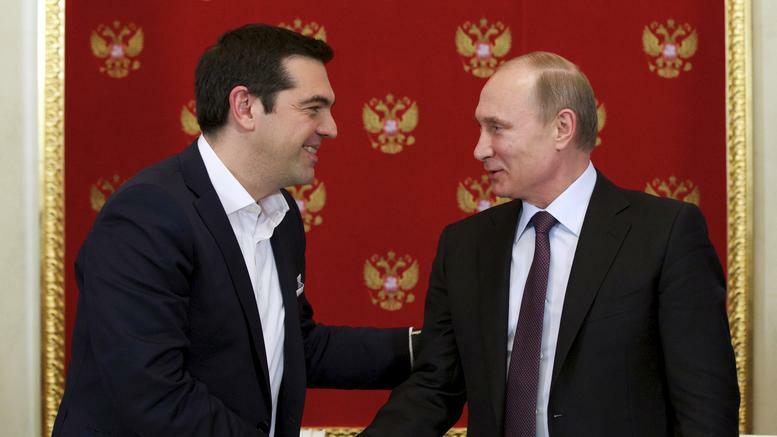 The President of the Russian Federation, Vladimir Putin, is on a working visit to Greece after 10 years, in the context of the votive Greece – Russia Year 2016 and as a continuation to the visits of Prime Minister Alexis Tsipras in Kremlin and the Financial St. Petersburg Forum last year, as well as the President of the Republic in Moscow in January this year. At 3:30 on Friday afternoon the Russian President arrives at the Venizelos airport in Athens where he will be greeted by Defence Minister Panos Kammenos. He will then be directed to the Presidential Palace for talks with the President of the Greek Republic Prokopis Pavlopoulos. The meeting between the two presidents will take about half an hour. Immediately after that President Putin will travel to Maximos Mansion to hold talks with Alexis Tsipras and official talks between the two delegations. The agenda of the talks between the Prime Minister and the Russian President, as well as the two government delegations, will focus on strengthening bilateral economic and trade relations, attracting Russian investments, promoting Greek exports mainly in the food processing industry, energy, tourism, upgrading the political dialogue on international and regional developments, as well as on EU-Russia and NATO-Russia relations and cooperation in the fields of culture, education, science and technology, also in the context of votive Year 2016. The Russian President will be accompanied by a multitudinous government delegation with the participation of the Ministers of Foreign Affairs – Sergey Lavrov, Energy – Alexander Novak, Transport – Maksim Sokolov, Culture – Vladimir Medinsky, Economic Development – Alexey Ulyukaev, Agriculture – Alexander Tkachyov and the government spokesman Dmitry Peskov. Furthermore, in the delegation will also be the Gazprom CEOs Alexey Miller and Rosneft Igor Sechin, as well as dozens of other entrepreneurs. At 19.25 the Russian President will visit the Byzantine Museum accompanied by the Prime Minister. On Saturday Vladimir Putin will travel to Thessaloniki and from there to Mount Athos where he will have a pilgrimage visit, accompanied by his Greek counterpart Prokopis Pavlopoulos. Mr Putin will be greeted in Karyes by Foreign Minister Nikos Kotzias. Also in Athos will be the patriarch of Moscow and All Russians Mr Cyril. The visit at the monastic state is taking place in the context of the celebrations for the completion of one thousand years of the presence of Russian monks on Mount Athos. Patriarch Kirill arrives in Athos Friday, accompanied by fifty bishops. According to the Mount Athos protocol, the Russian President will first go to Karyes, where he will be accepted with the honours of a head of state by the Holy Community and will attend a litany at the Church of Protatou with Mr Pavlopoulos, Mr Kotzias and Mr Cyril. The President, Foreign Minister and Patriarch will then make a pilgrimage to the Holy Panteleimon Monastery, which is inhabited by Russian and Ukrainian monks, who are expected to give them a warm welcome. Mr Putin is expected to depart for Moscow on Saturday evening.